Golly! Is that the time? Yesss it’s Food King day everyone! 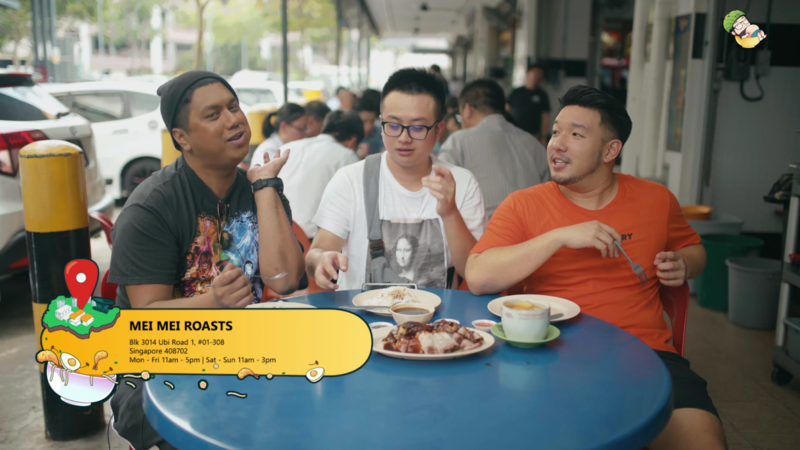 And in this week’s episode, we are gonna pamper our taste buds with some hidden gems in and around MacPherson that we’ve never tried before. So why MacPherson? 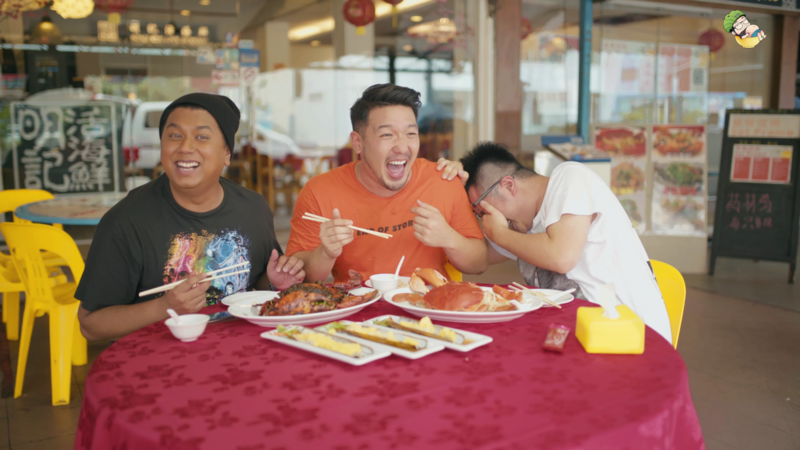 Well it’s because Dee brought us to Julaiha on one of our recent Prata episode and we noticed there’s a lot of good food around this area. Since then, we felt we have to try the food here and see if they are worth the hype. Let’s go check it out! Our first Food King destination is something we can’t live without. And it’s none other than our beloved roasted delights of course! 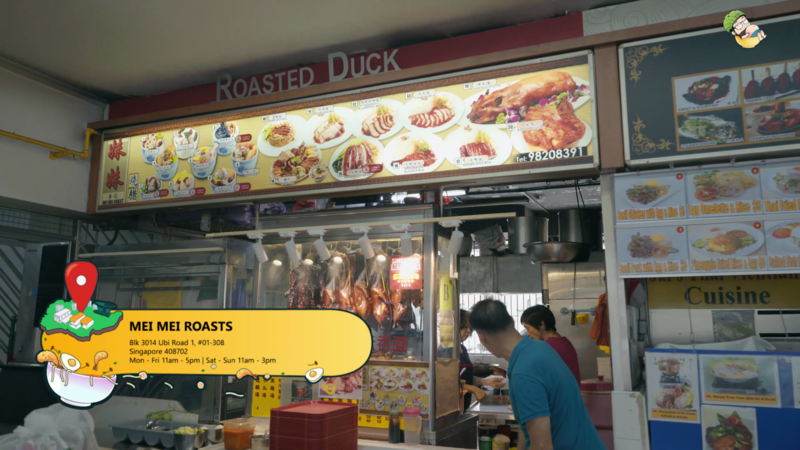 So today we will be trying our favorite char siew, roast pork and roast duck from Mei Mei Roast. So here we have the roast meat platter, which is filled with Roasted Pork, Roasted Duck and Char Siew. We are also having the Salted Vegetable Duck Soup and Old Cucumber Soup. All of the meat is very well done. 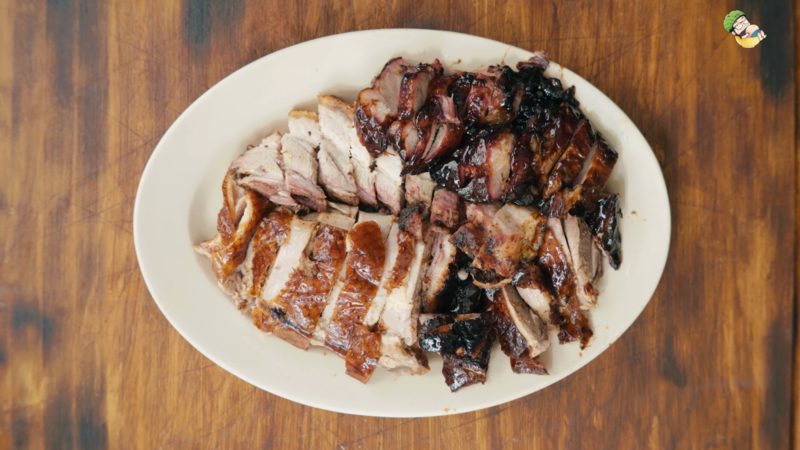 The pork is very well charred at the top, the duck is tender yet cripsy, while the char siew is fatty and savory. Yummy! 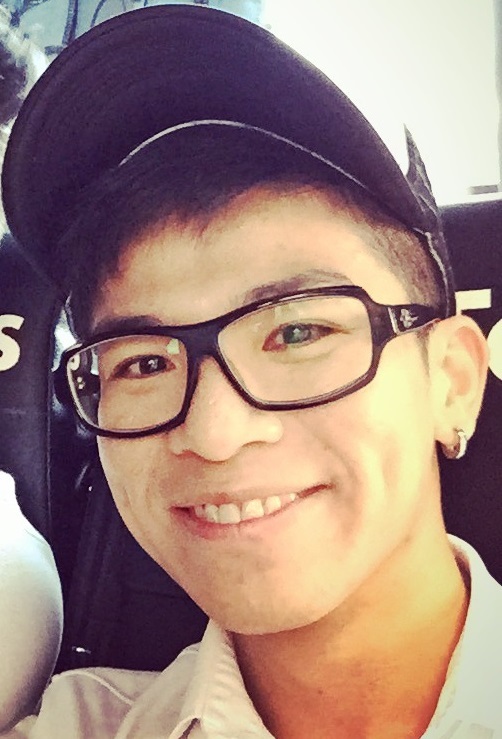 The star is actually the char siew. 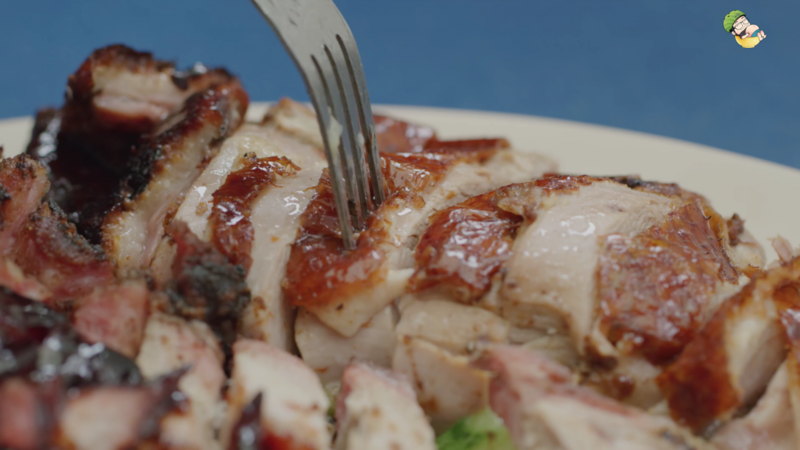 If you look carefully, you can actually see the fatty meat and lean meat in every piece of the char siew. The fat to meat ratio is incredible. We also love how savory the meat is. The caramelisation is on point and there’s a touch of sweetness in the meat as well. We are shook! Wow look at these ducks! They are specially flown in from Ipoh. And they are like smaller ducks, fattened before killed. 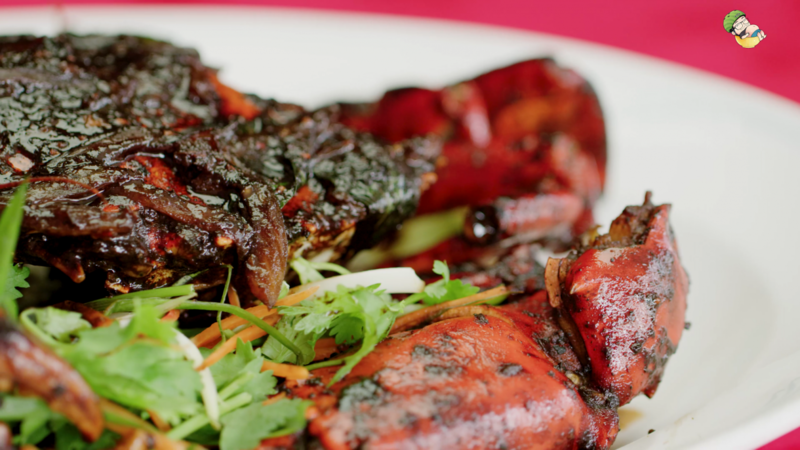 The duck here is done very differently from other roasted ducks. 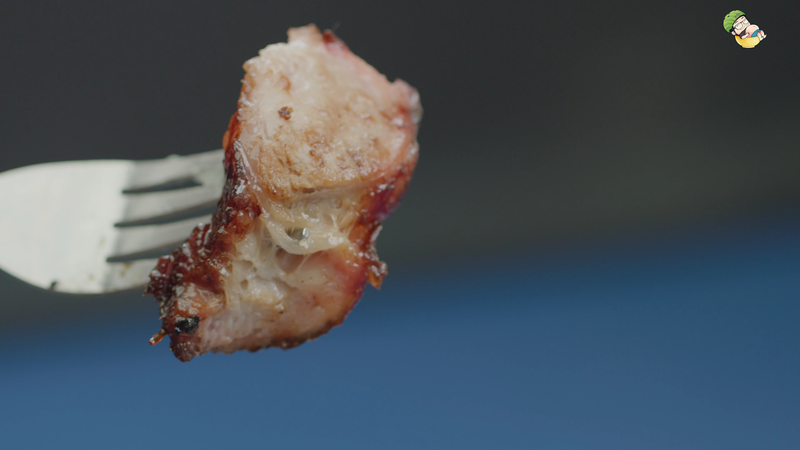 What really impressed us is the skin – it is crispy and the texture is very good. 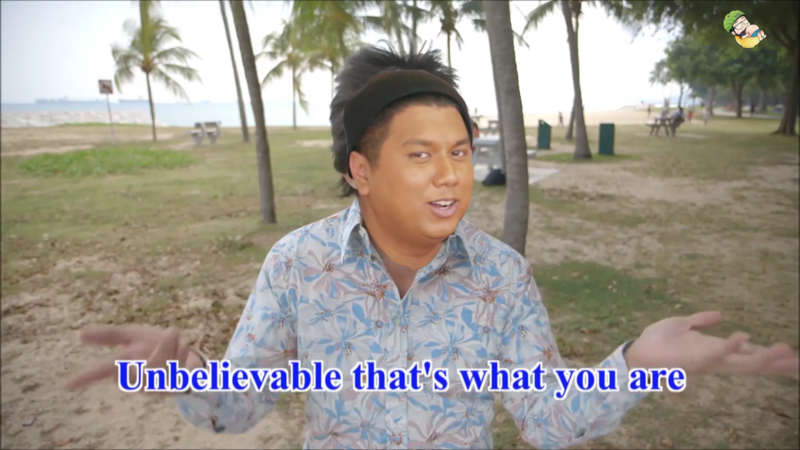 You’ve got to try it to believe. The cooking method makes the skin very crispy. 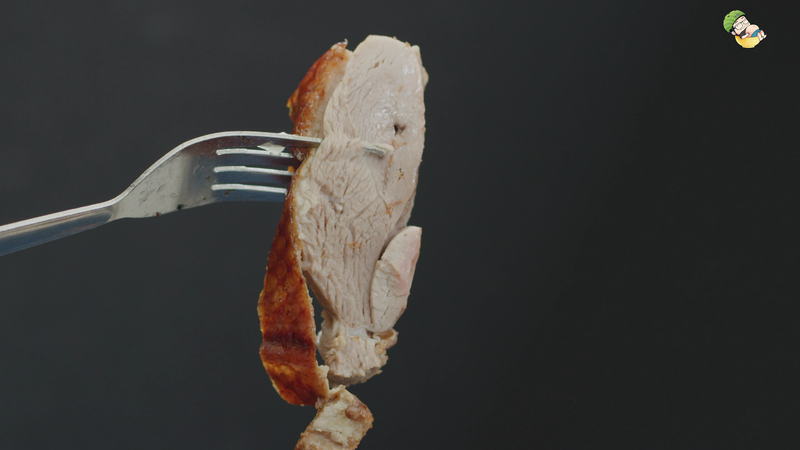 For roast meats, this no doubt a cut above the rest. Amazing! 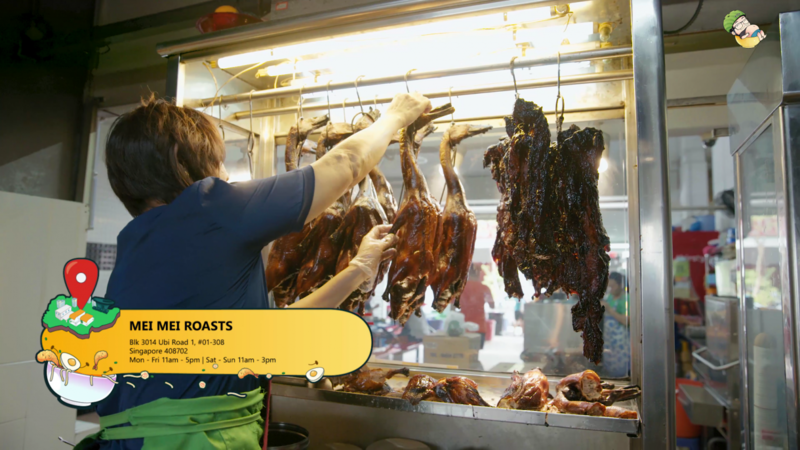 We have eaten numerous roast ducks in majority of the hawkers in Singapore. 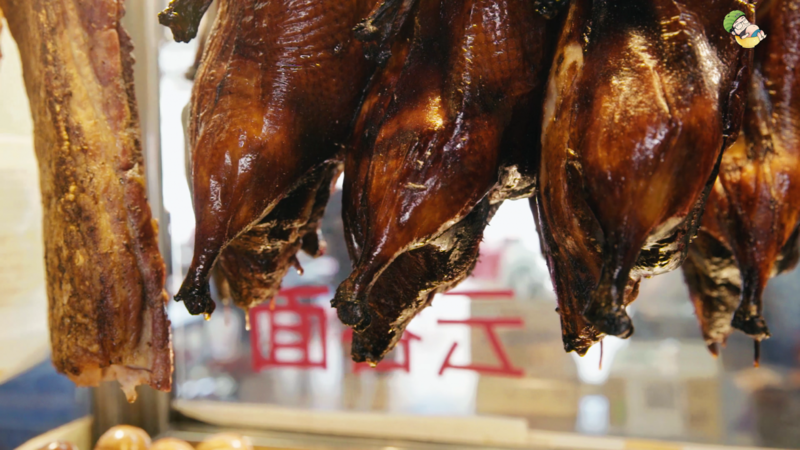 The problem with most of them is the sauce – when drenched in sauce, the duck somehow loses the crispiness of the skin. Not this one though. 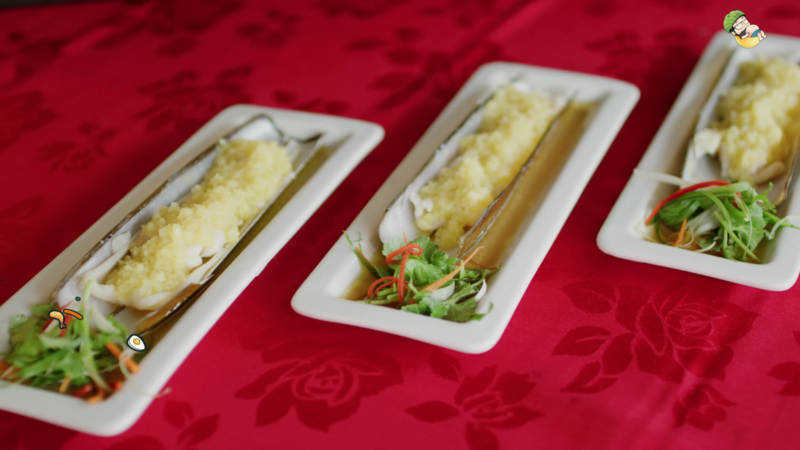 We are pleasantly surprised that they managed to maintain the crispiness despite the sauce. It’s soooo good! We got to say this place definitely makes the cut for our top 5 best roast meat places to visit. And with that, Mei Mei Roasts gets our 3 Stars and is Food King Good! Our next gem is situated along the streets of Macpherson across Malaysia Dairy Industries. 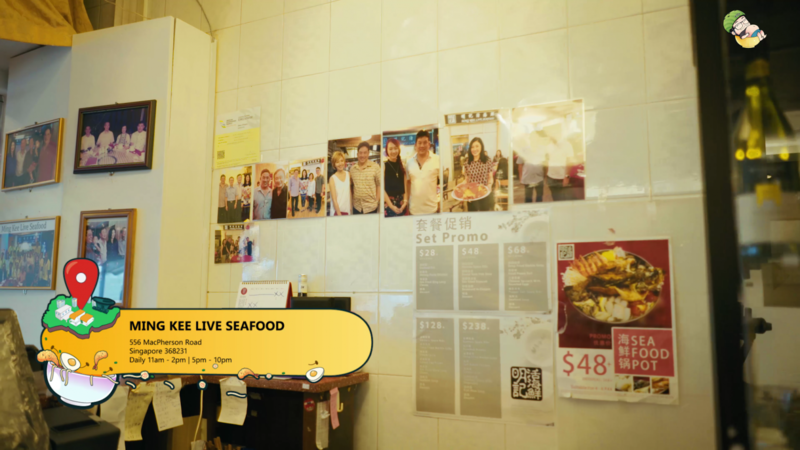 And the stall is called Quan Lai Kway Chap. Yes you’ve guessed it. 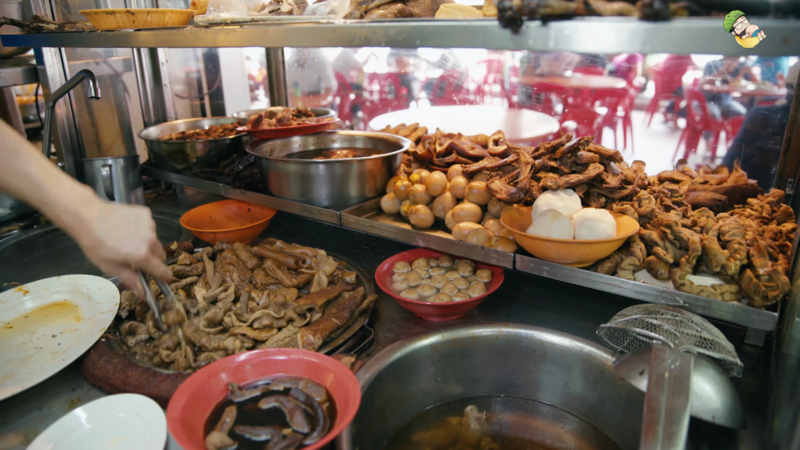 We are here for the Kway Chap and boy, this stall has been around before we were even born! The uncle here has been selling this for the past 50 years believe it or not. Salute! 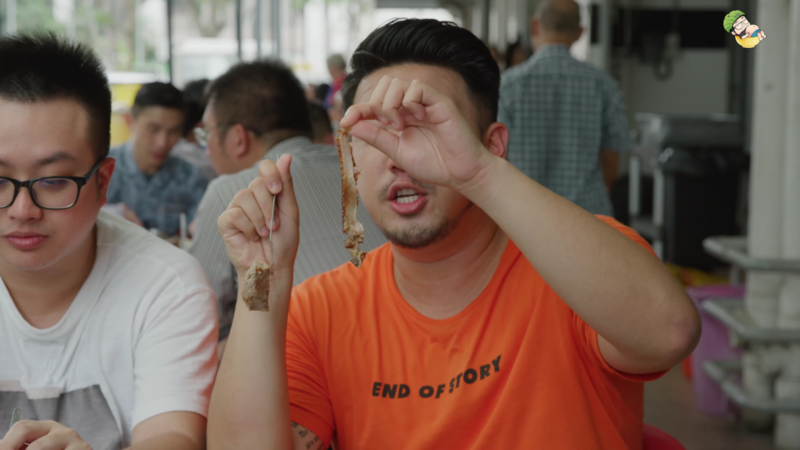 What’s really interesting about the Kway Chap here is that they serve fried intestines, which is pretty hard to find these days. Truth to be told, we’ve never had fried intestine in Kway Chap up till now. So this is gonna be quite the experience trying it for the first time. 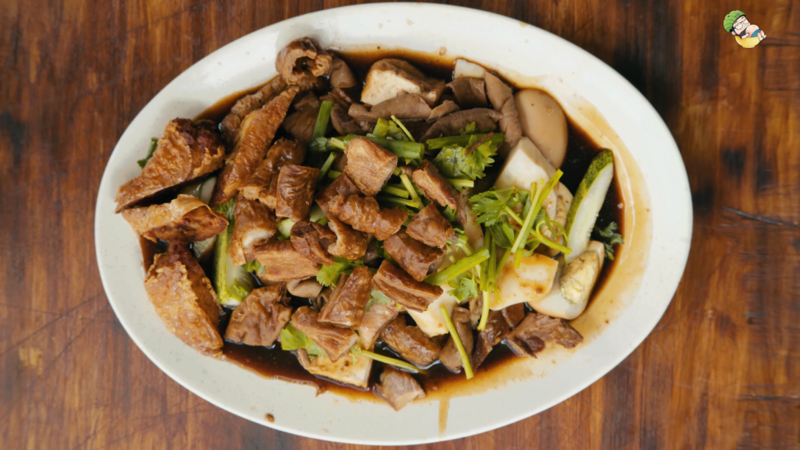 Here we have the meat platter and there’s duck, pork, tau pok, egg, cucumber, large intestine and even Ngoh Hiang. This is no doubt a very old school way of doing Kway Chap. 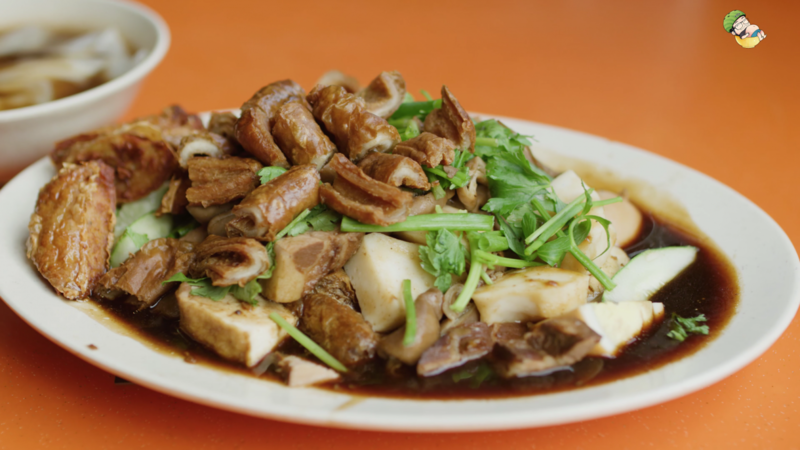 Because most Kway Chap now is just like the innards and braised pork. We like the fried intestines too. The texture is on point. 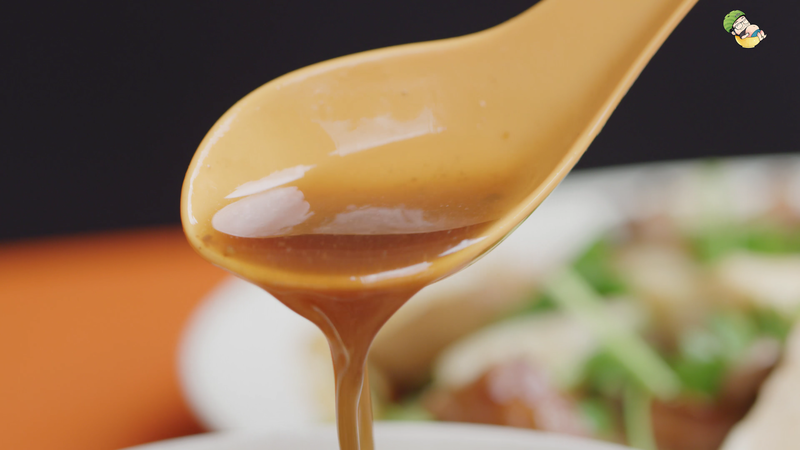 Incredibly, the sauce is also something we’ve never tasted before. Most of the places we’ve been to put lots of herbs such as the star anise. However the sauce here is more diluted and less herby. We are pretty sure the owner wants the ingredients to carry the taste, which is good enough for us. Just look at the amount of ingredients they have. What a sight to behold! 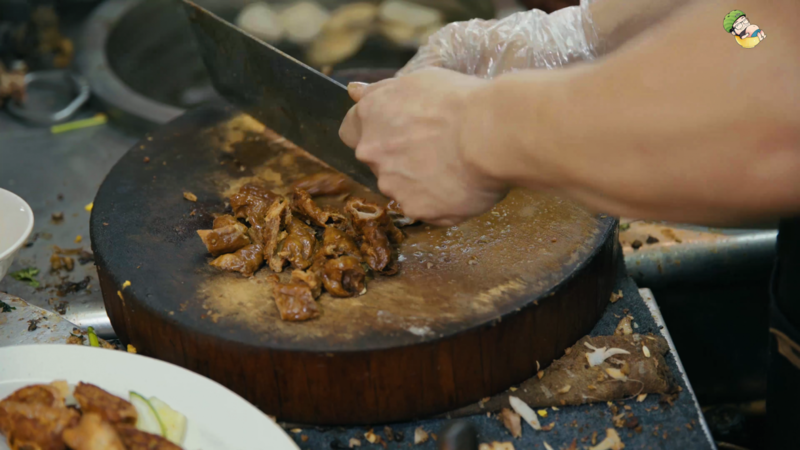 Their fried intestines are one-of-a-kind. If you like it fried, this one’s a must try. The stall owner actually put the parsley in to remove the gaminess of the meat. Ingenious! 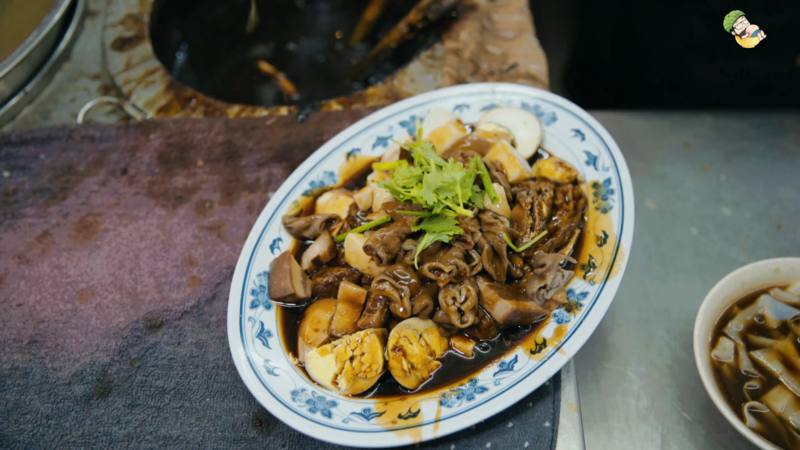 The dish comes with a bowl of tasty Kway Tiao. 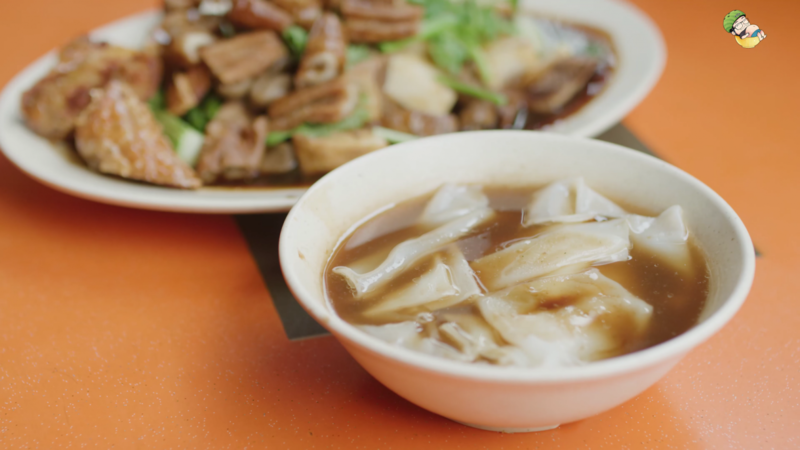 You can order the Yam rice if you don’t want the Kway Tiao. 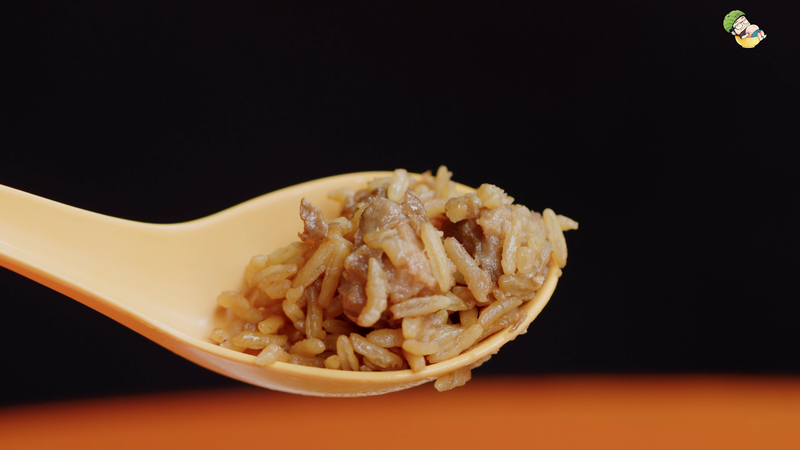 We really love the rice as it’s super fragrant and tasty. So yummy! 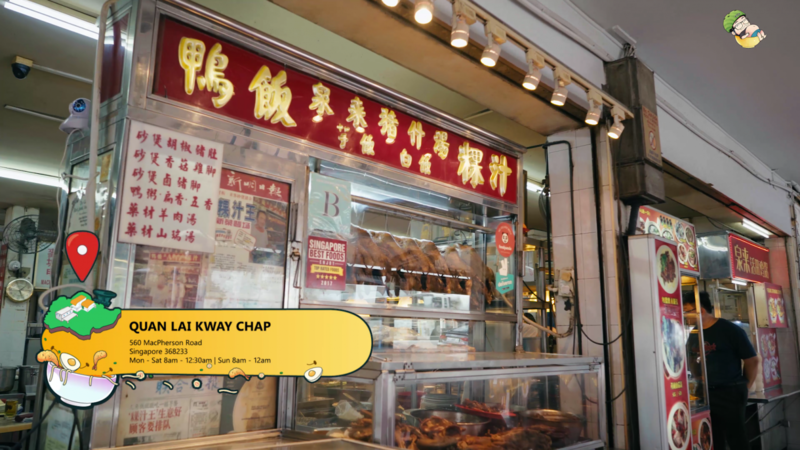 Craving for Kway Chap in the middle of the night? Well, there’s something for you. This stall opens till 3am in the morning. No more excuses not to leave your bed to satisfy your cravings. 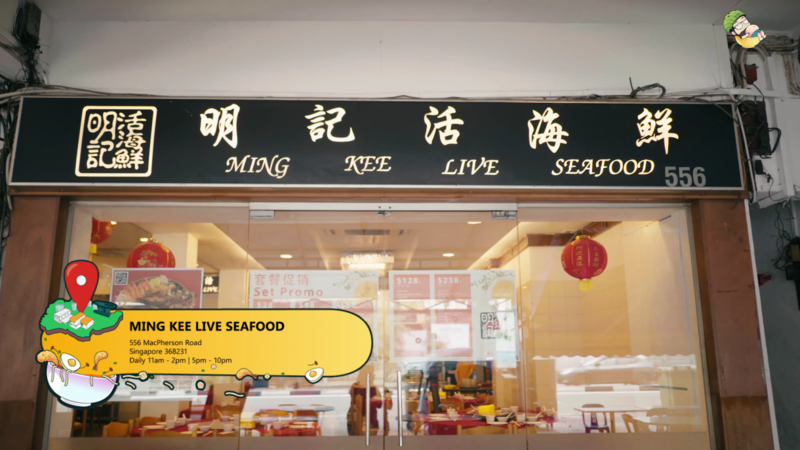 We are now at Ming Kee Live Seafood and we have a great selection of dishes in store for you. 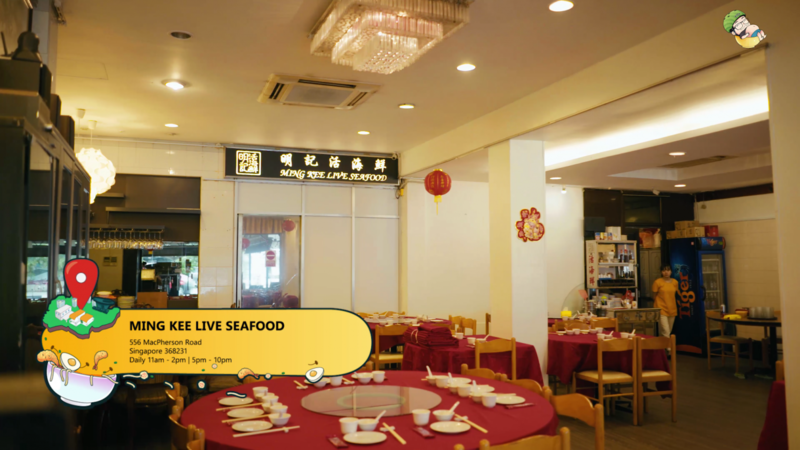 Here we will be having their signature Crab Bee Hoon, Black Pepper Crab and Bamboo Clam. We all look like crab, aren’t we? What a pleasant surprise! 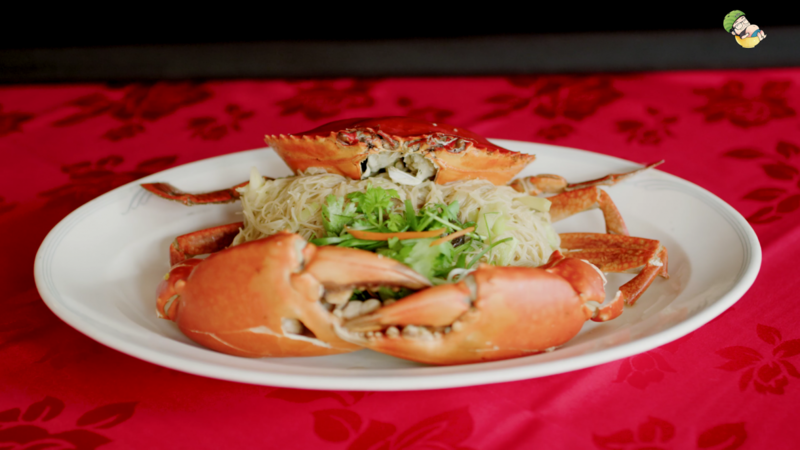 Although Ming Kee’s Crab Bee Hoon lacks presentation and color, it makes up for those lackluster qualities by giving us an explosion of flavours. It’s not much to look at, but it’s flavorful nonetheless. The crab is super soft and QQ (bouncy) too. 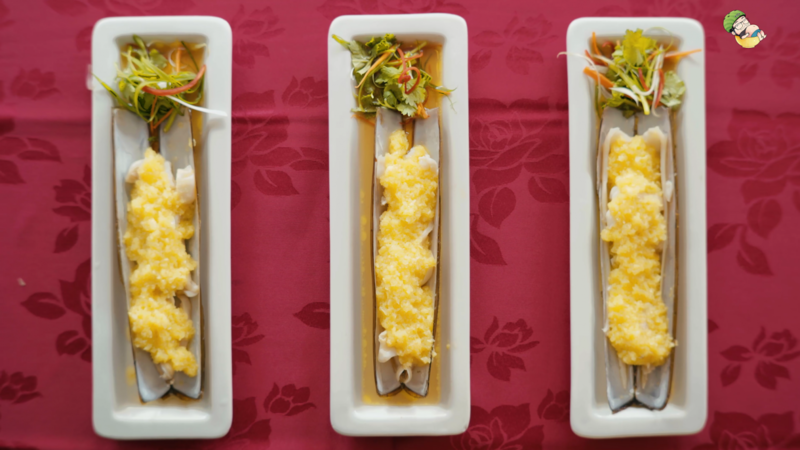 To enjoy the explosion of flavours in your mouth, shred the crab claw put it on top of the bee hoon and eat them together. It’s really the best! Delicious! 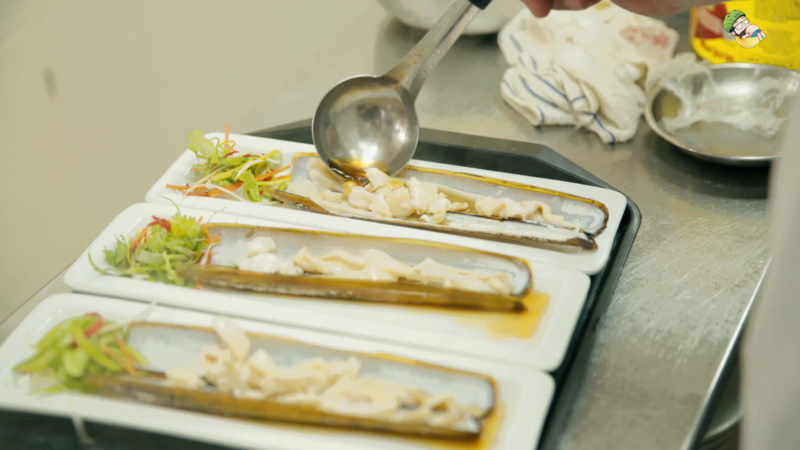 When we first looked at this dish, we feel that it is very plain-looking. Doesn’t look appetizing at all. Boy are we so wrong… Once you put it in your mouth, Umami explosion!! Literally blows you away! Just look at Aiken’s reaction. Nuff’ said. 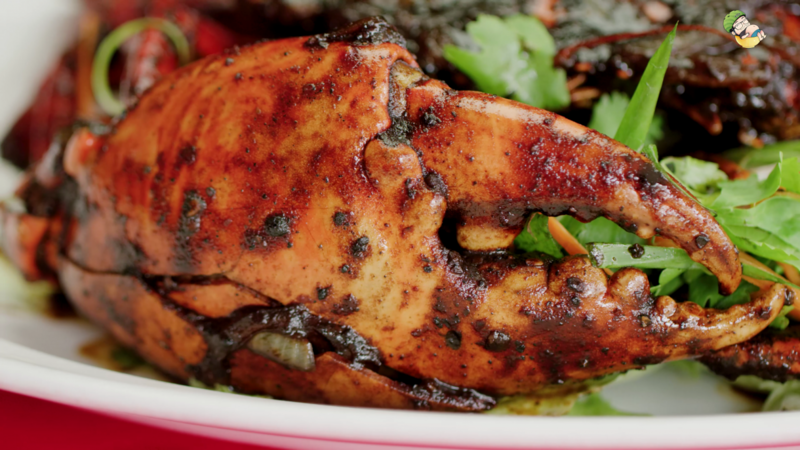 Moving on to the Black Pepper Crab. Firstly, we’ve got to say the sauce is not impressive at all. It’s very ordinary to say the least. 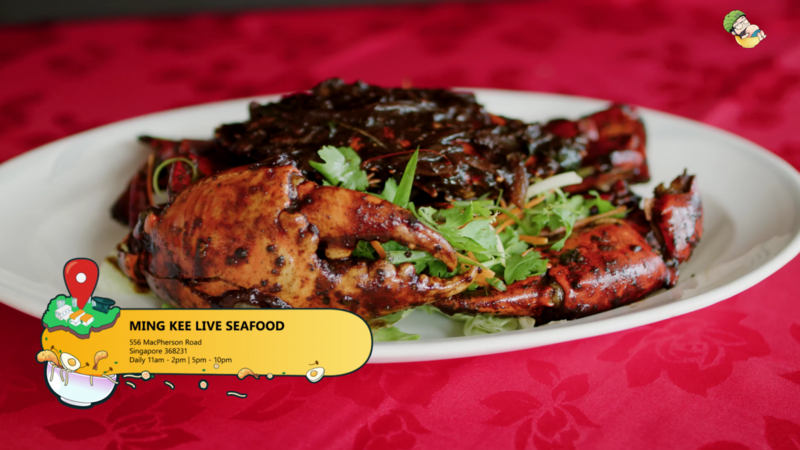 While it’s not a bad tasting dish, it does not stand out from the rest of the black pepper crabs that we have tried so far. 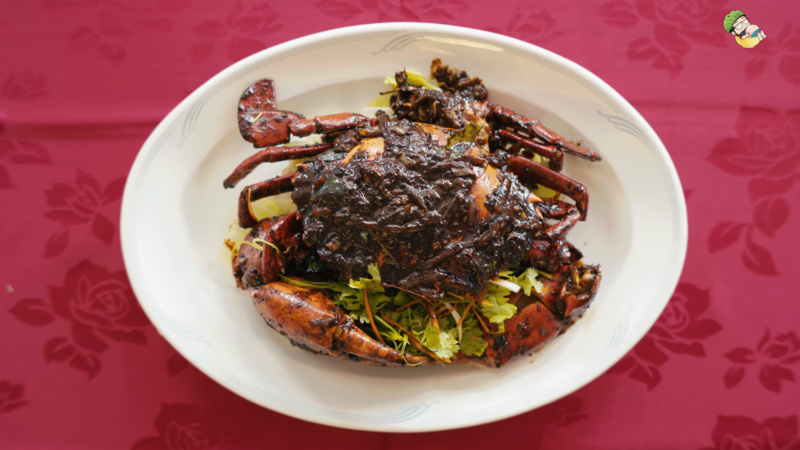 It’s not unbelievable, that’s what you are… So yea, the black pepper crab is not that bad. 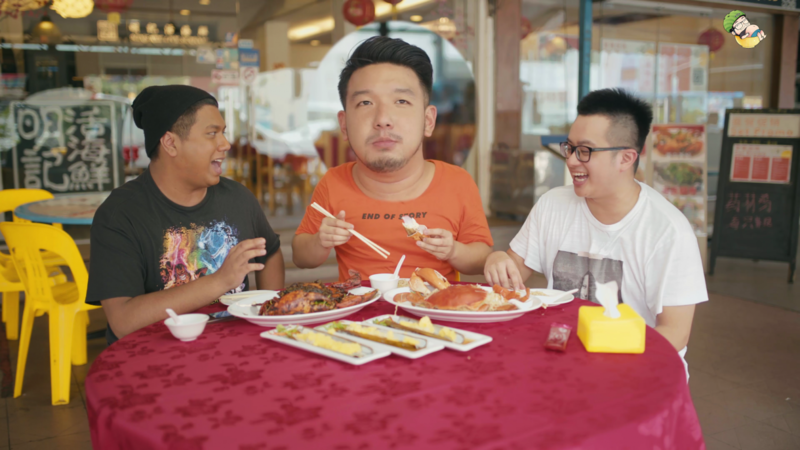 It’s just an average plate of crab. 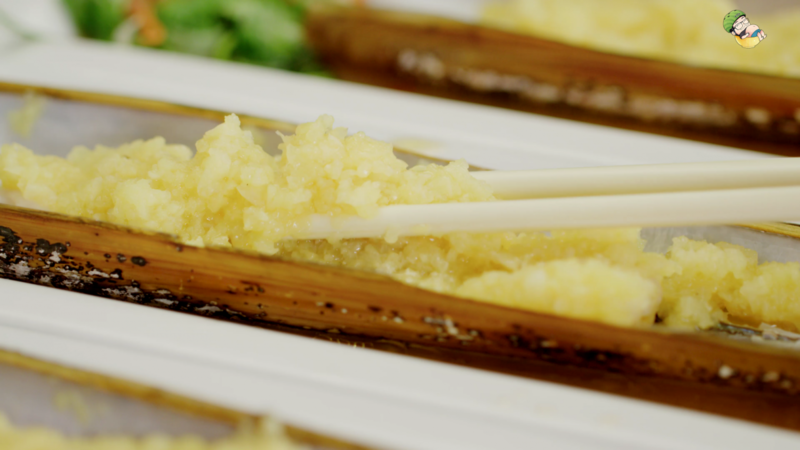 Last but not least, we will be having the Bamboo Clam. These are steam clams by the way. The garnishing in this dish is pretty interesting. The texture and flavours are spot on. We like it quite a bit. There are a many places where they cooked the clams till its too tough and ended up tasting like rubber. However, the clams here are prepared really well and the texture is near perfect. Look at the amount of garlic in there. If you’re not a fan of garlic, you probably would not like this dish. The texture and consistency of the clam is very Q and chewy. But it’s not too chewy where it’s too tough till you don’t want to eat it. So it’s just about right. Alright everyone, it’s a wrap finally! We are so so full. Hope you guys like our episode today. Before we go and rest our bellies, here’s Ryan trying to be the next Iron Man. Guess we are really in the End Game now. God save us all! 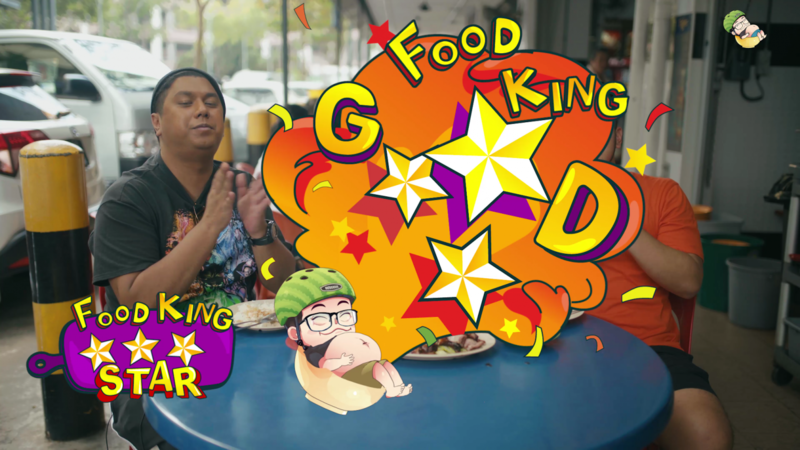 FOOD KING: AUTHENTIC INSTANT VEGAN FOOD ON THE GOFOOD KING: THE BEST HAWKER IN SINGAPORE?